Materials Purple bamboo(Body),Synthetic Ox horn(decoration),all natural,eco-friendly varnishes - this model uses our own Shellac based varnishes (our shellac is sourced exclusively from India, to ensure they are of highest quality. 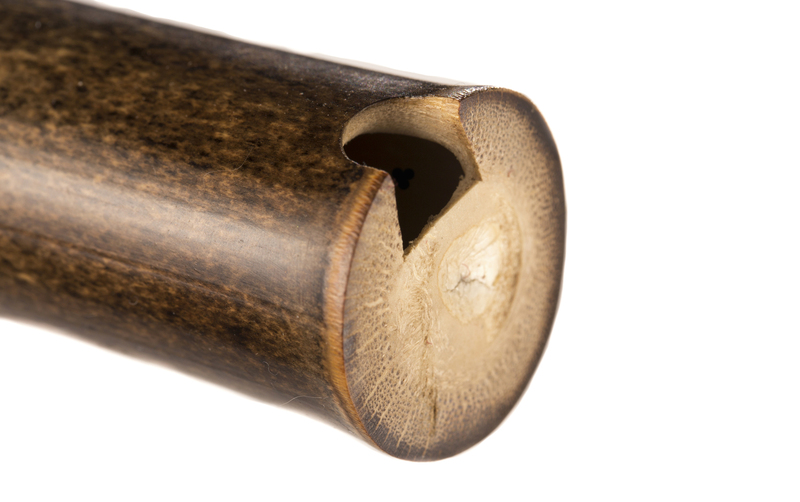 Our Shellac varnish provides maximum protection to both inner tube and surface of the flute, giving the instrument greater resistance against elements. Design Standard setting compact Dong Xiao: 7 finger holes at the front,1 back finger hole *The compact Xiaos are roughly 30cm shorter than regular Xiaos. With a smaller sound chamber, it's easier to control than regular Xiao, making it an excellent choice for starters.